Cleverly dimensional! 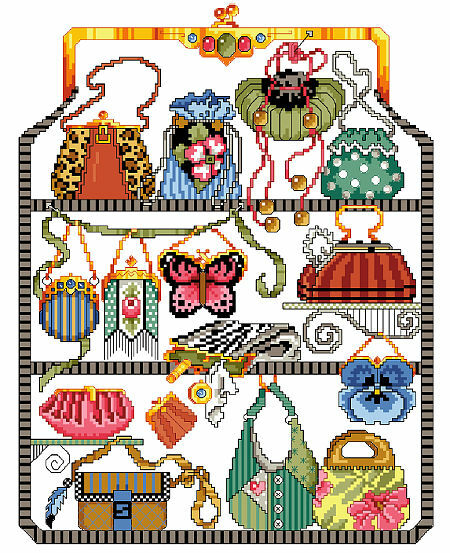 A collection of stunning purses in Counted Cross-Stitch add fascinating beauty to the old image of the pocketbook. These bags look ready to accommodate your needs or meet any on-the-go demands. Some spacious, some practical, some beaded and others just plain unique and all surrounded with a purse border. Contents: Stitch count is 140 stitches wide by 182 stitches high. If stitched on 14 count it would measure 10" wide by 13" high.